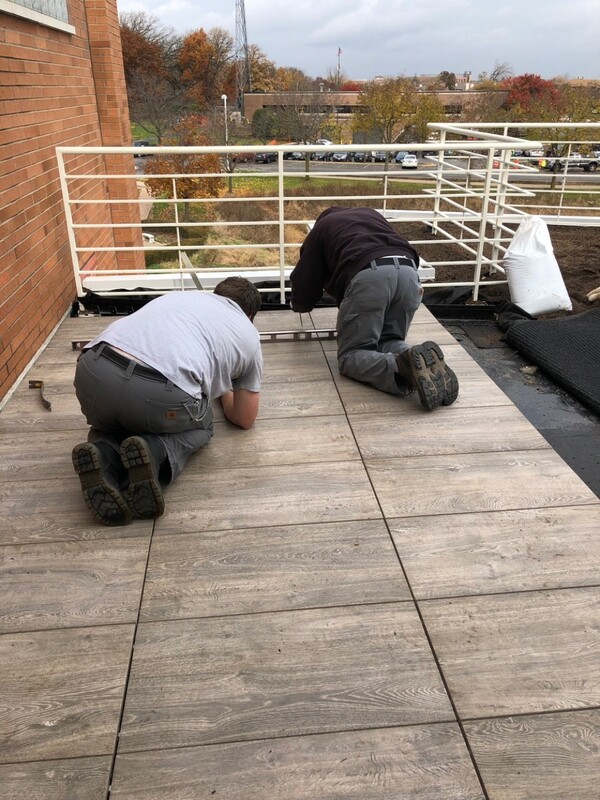 When the Village of Orland Park decided to install a new green roof on a municipal building, we broke the mold and took a new approach. Recently we had the extreme pleasure of working with Orland Park on a new green roof for their village hall. Today, we have the even greater pleasure of watching our newly planted natives start to grow, seeing people enjoy the space, and watching those nesting birds and pollinators show up. Seriously, we saw them out there with their tape measures. We assume they’re off buying drapes right now. But we’re getting ahead of ourselves. Let’s back up. We’re used to dividing public and private with a sharp, black line. That doesn’t mean the two don’t ever meet. Public works projects are often carried out by private companies, whereas private corporations may fund amenities available to the public. Infrequently do the private and public sectors jointly supply personnel for projects, however, nor is there enough sharing of knowledge across that line. 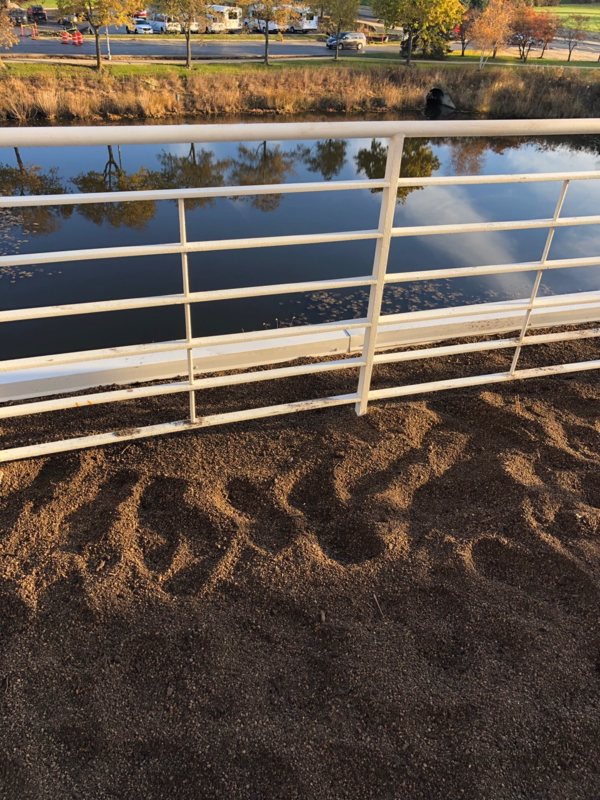 Recently, the Ecogardens team and the village of Orland Park decided to do something a little different. We wanted to help heal that divide, and see if there wasn't a better way to engage the two sectors in one project. 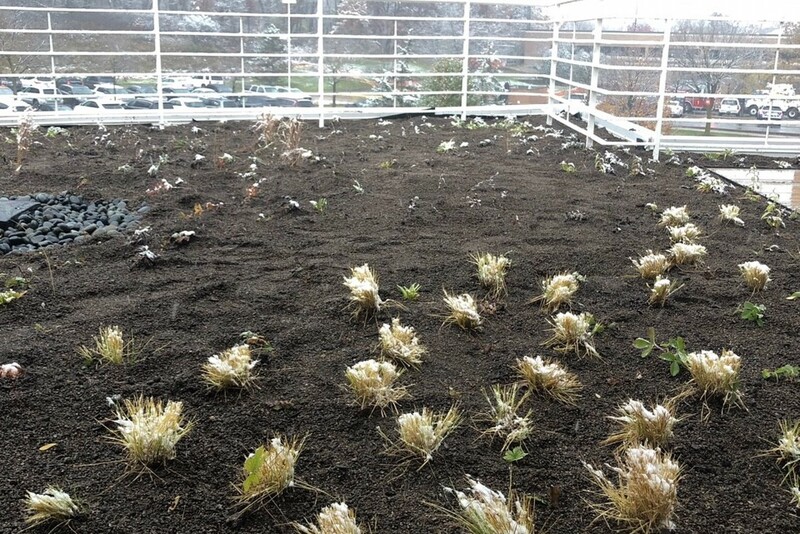 … As you might expect, our experiment involved a green roof. The public sector often lacks the cutting-edge industry knowledge that the more highly specialized private sector can supply, which means public works projects end up costing a premium because they require outside teams. Project costs are sometimes prohibitive. While public teams possess the willingness and capability to take on such projects, they are denied the opportunity to learn unique skills – such as, say, installing a green roof. 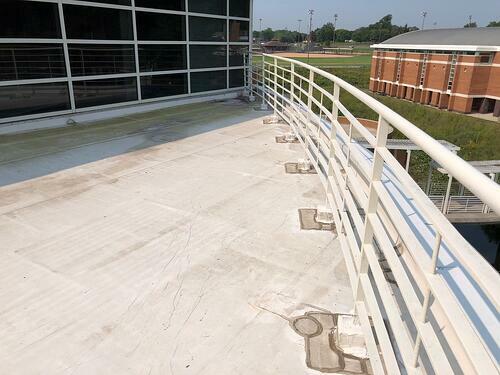 At first, when considering the installation of a green roof on a municipal building, Orland Park did what every city does: solicited proposals from private companies. They reached out to us as part of that process, but we quickly decided the old model was needlessly restrictive. We figured, why not break the mold? On the assumption that we could cut project costs by using staff already on the Orland Park payroll, we suggested that the village buy its supplies from a vendor and hire a consultant to direct their installation, but use its own team. As you may have guessed, Ecogardens ended up playing both vendor and consultant. This allowed us to bring our vision to the project, while giving eager park staff a chance to hone their green infrastructure skills. The project was relatively seamless, resulting in a little 1,600-foot green roof with 300 feet of amenity space. Porcelain pavers on adjustable pedestals plus an almost completely local plant palette (courtesy of Pizzo Nursery) completed the green approach. Don’t let the small size fool you, though: This roof has mighty water-retention capabilities. We used a prototype high-efficiency water retention layer, which can hold 90 percent of its volume in water. On the outer perimeter of the roof, we’re growing plants in as little as 2 inches of media (8 inches in the center, the deepest point). That makes stormwater managment and habitat creation possible with very little media, expanding the types of roofs on which we can conceivably install green systems. Now the public can enjoy an elevated hangout or a peaceful breather, and the village can use the roof as an educational arena and field trip destination – all while it quietly helps the world. In addition, we can also monitor the green roof visually – perfect for spying on those birdies we love. (We’ll say this: We’ve already seen a bald eagle scoping things out.) This kind of data is what allows companies such as Ecogardens and concerned villages such as Orland Park to learn, grow and create ever-greener strides toward the future. We know. It sounded a little grandiose. But we’re sticking with it. A lot, of course. But one of the strongest takeaways from this project is that cities, villages and other entities need not ignore their own talent in favor of outside companies. With capable staff to install the materials and the oversight of a knowledgeable consultant, cities can save a huge amount of money on green infrastructure … and that’s before we take into account the major savings and property value boosts it offers down the road. Even more importantly, its park staff learned a valuable skill that they can apply to upcoming projects, educate about or lend to other cities in future. Worth it? We think yes. Plus, the birds. They have the cutest taste in living room sets. We’re just saying. Want to learn more or would like to plan a project for your own building, village or property? We invite you to get in touch with Ecogardens today.